No one does luxury quite like Audi. In the 2016 A4 and S4 sedans, the German automaker demonstrates its skills at blending performance, comfort, simplicity of design and a sumptuous interior into cars with a surprisingly affordable entry price. That it is nice and gets you where you need to be. It is a lot on gas and I do not like to pay that much for gas normally. I have had better gas mileage. Like compared to my old car. This new car also does not give me as much room as I want. Sporty car, always the chosen vehicle in the movie transporter. No major problems as of yet, drives well, sporty sedan, love the space and comfort and the luxury look. 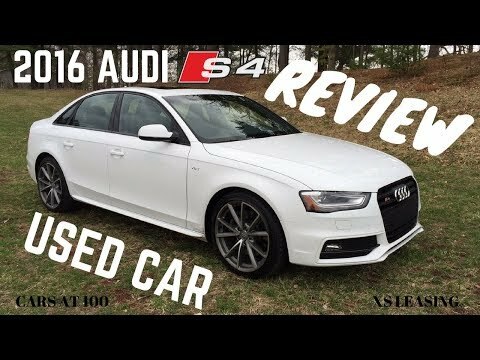 2016 AUDI S4 REVIEW - GREAT PERFORMANCE SEDAN ! Living with the Audi S4 | Initial Impressions!